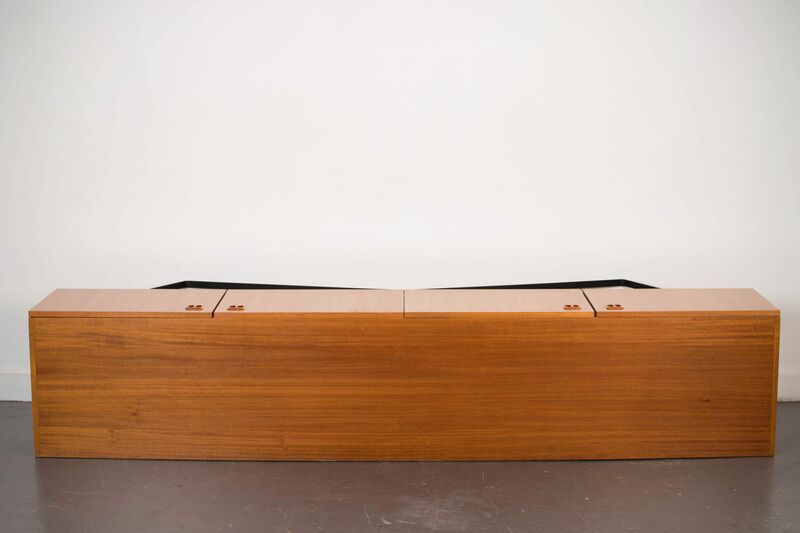 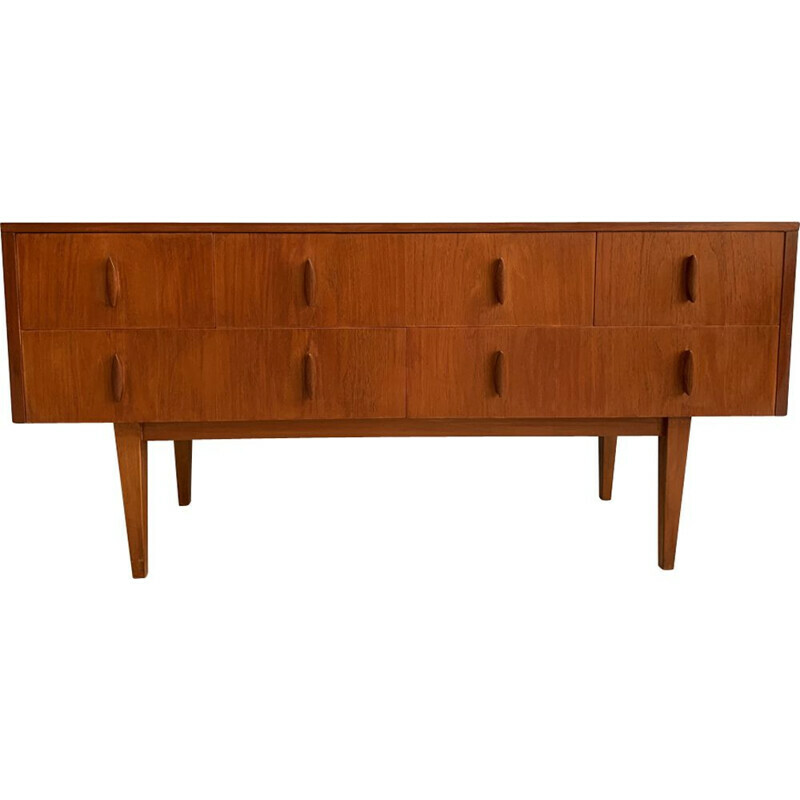 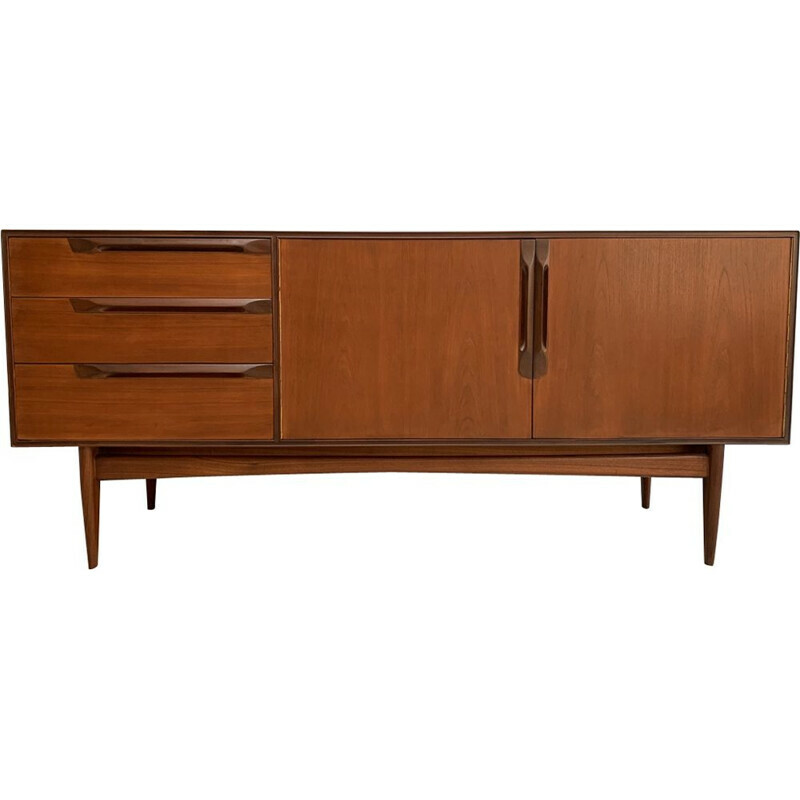 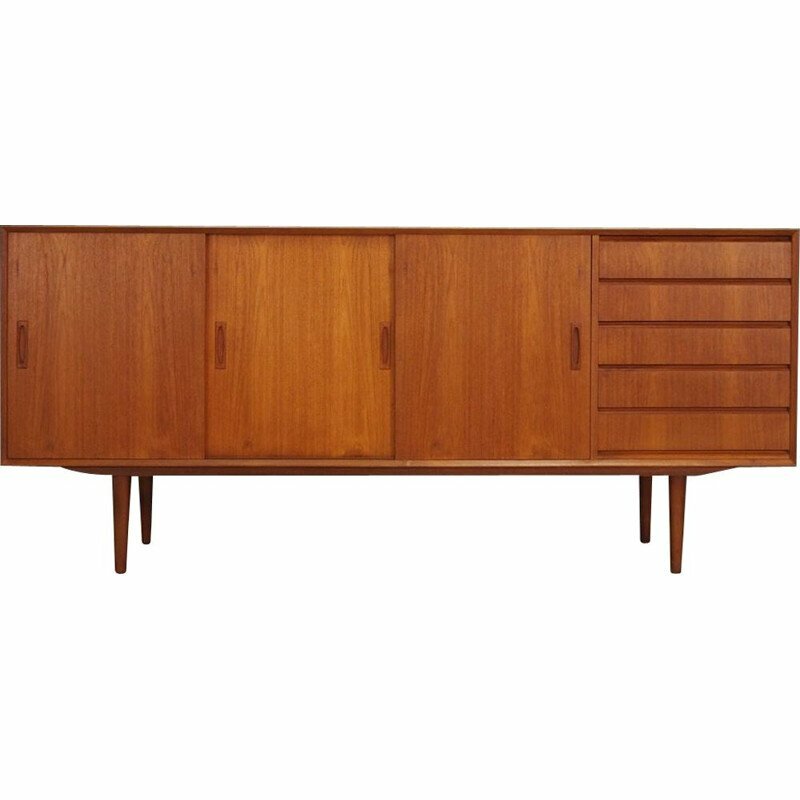 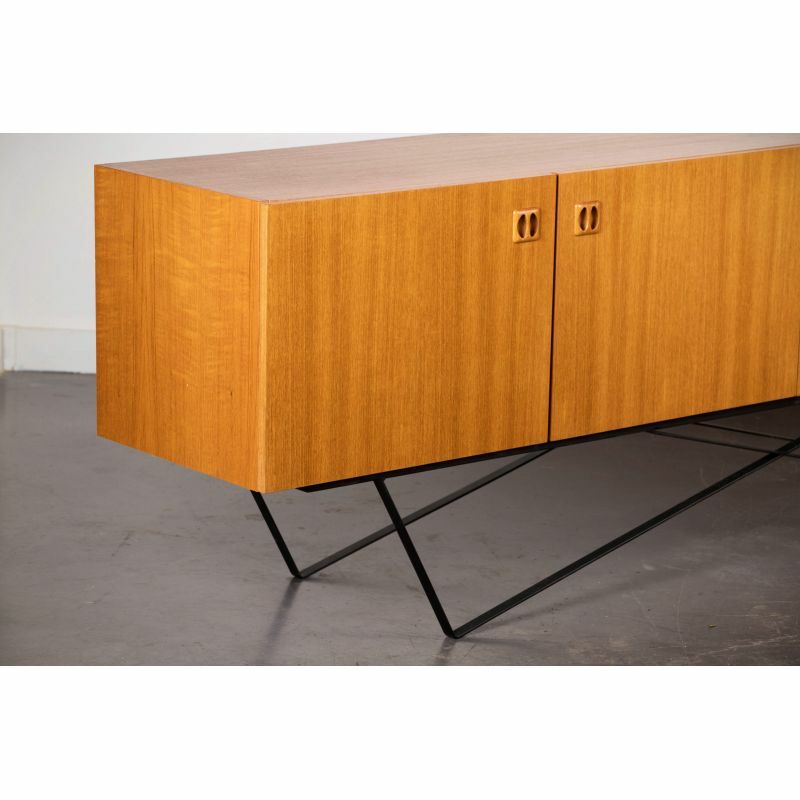 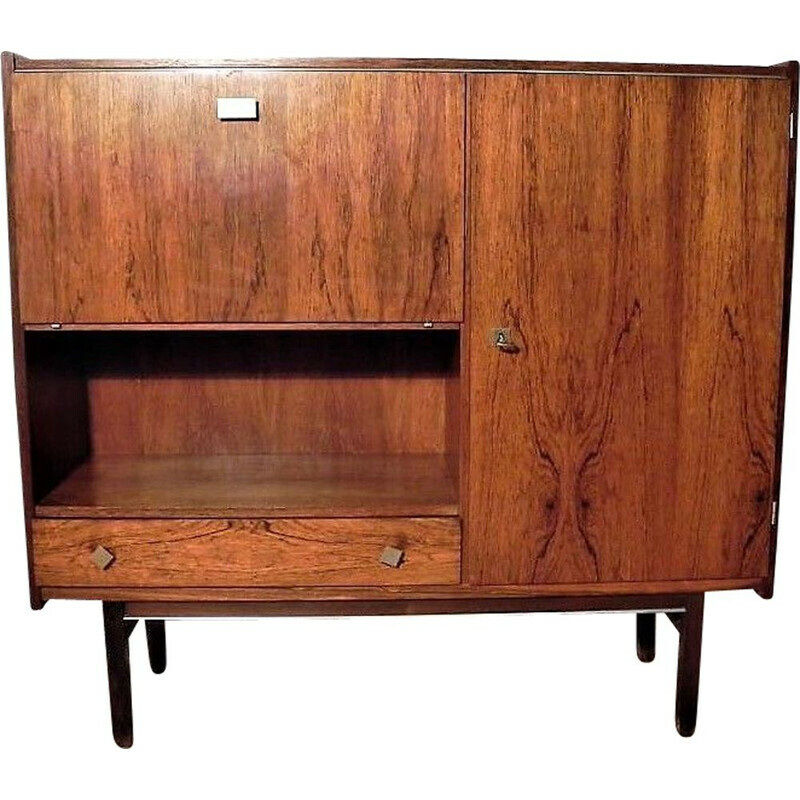 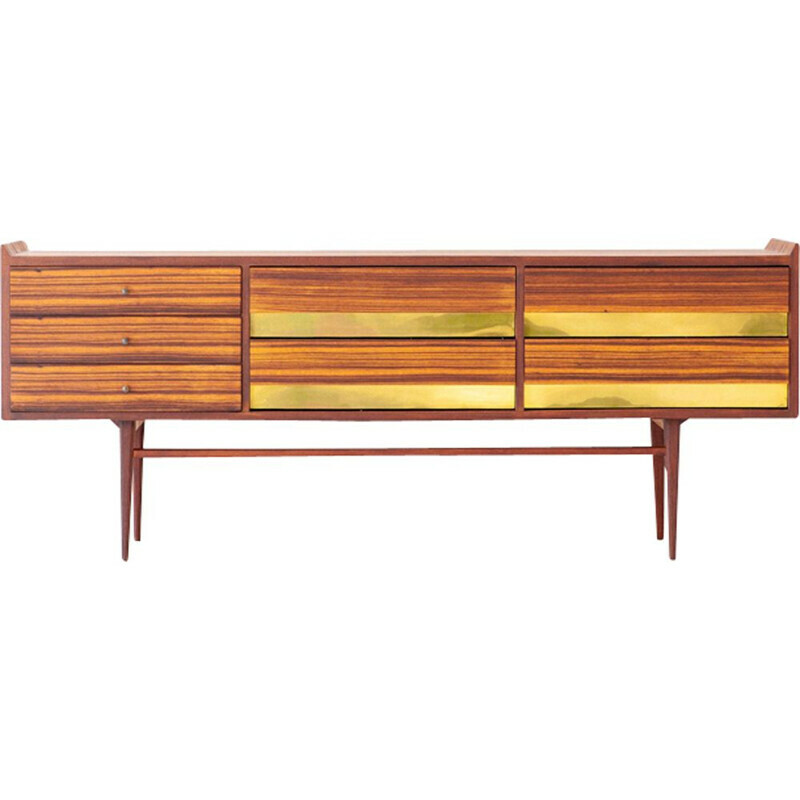 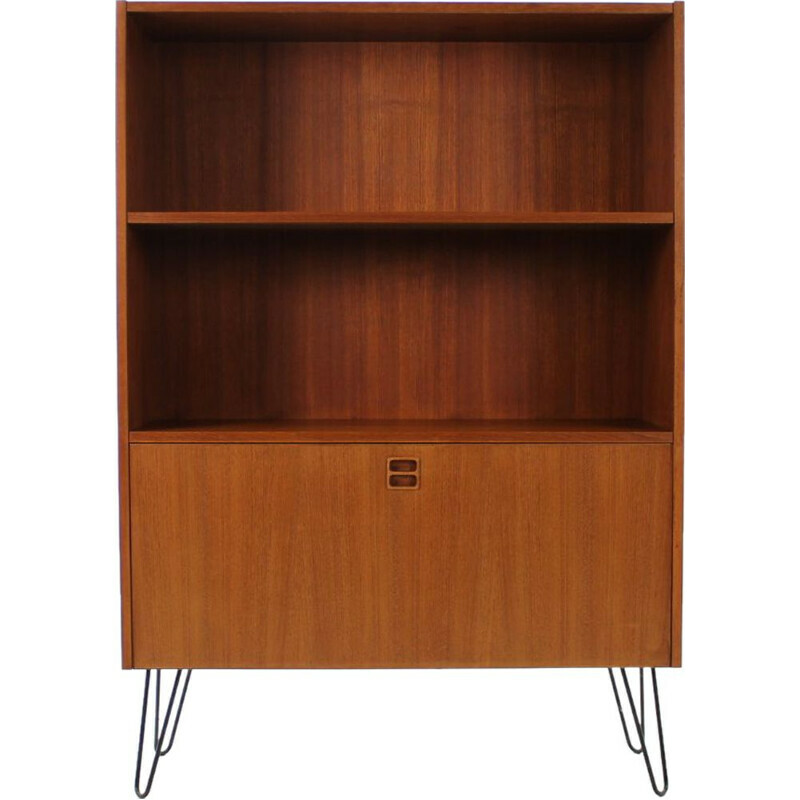 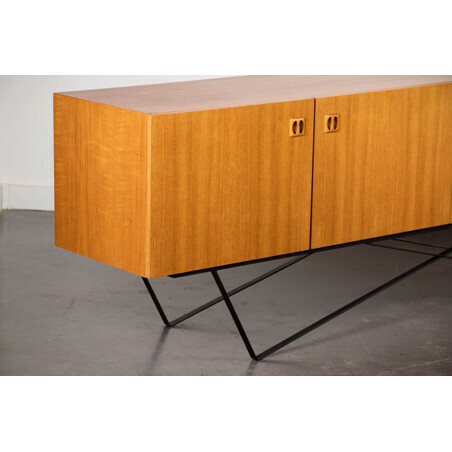 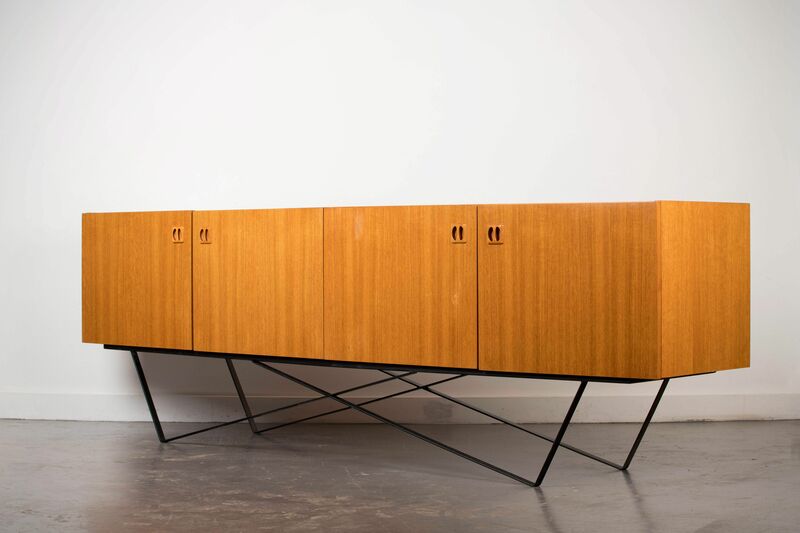 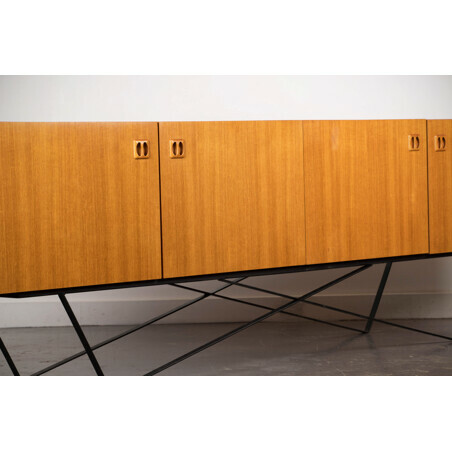 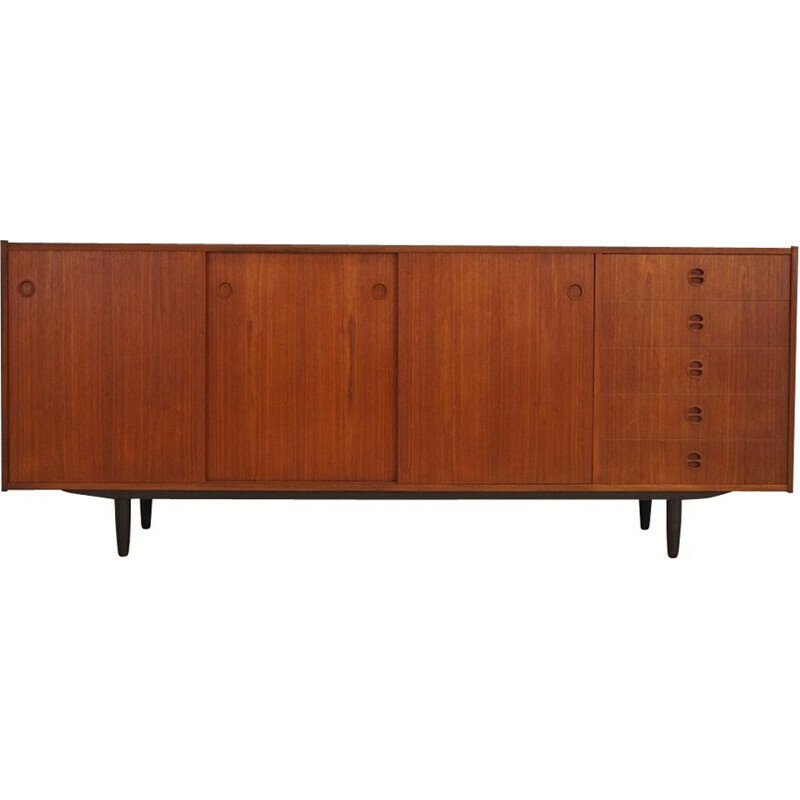 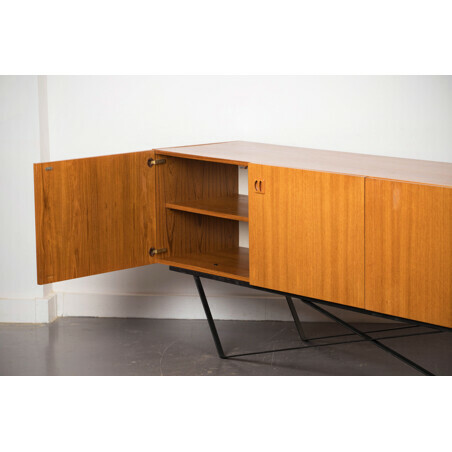 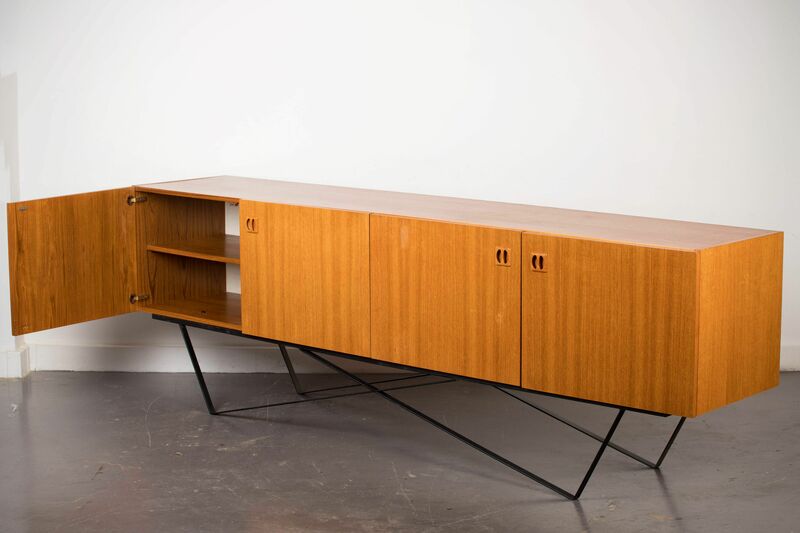 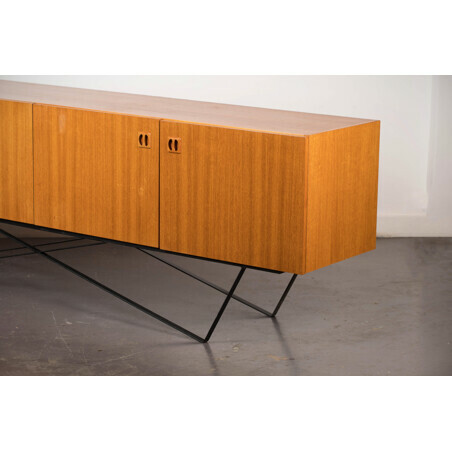 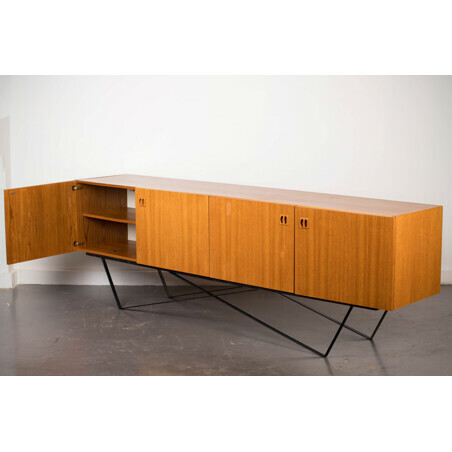 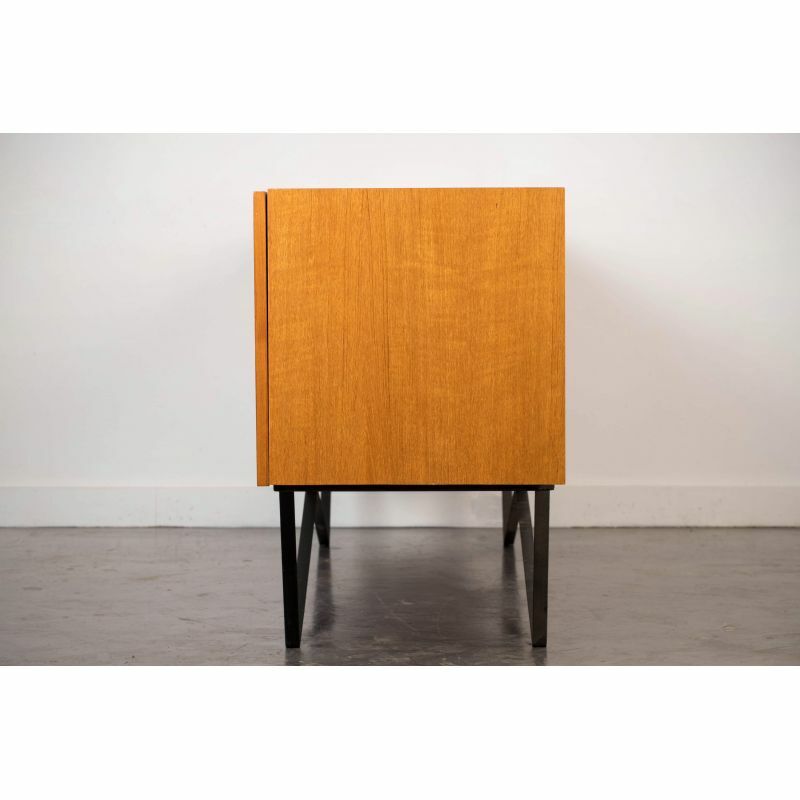 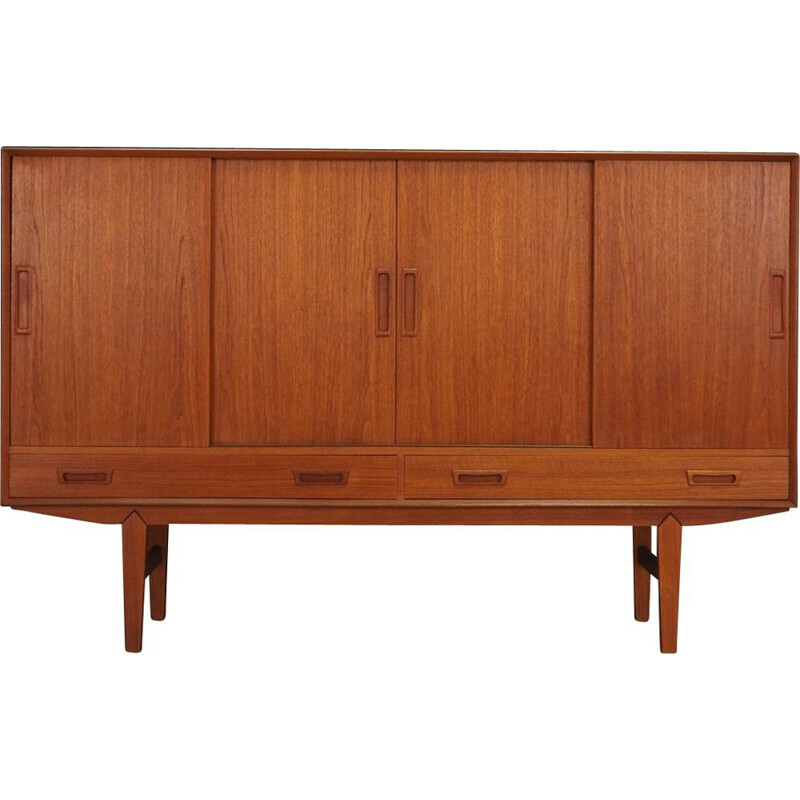 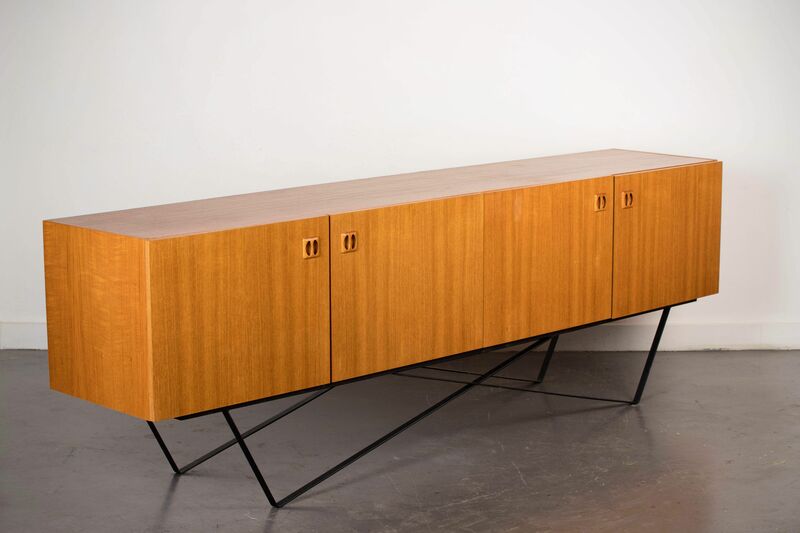 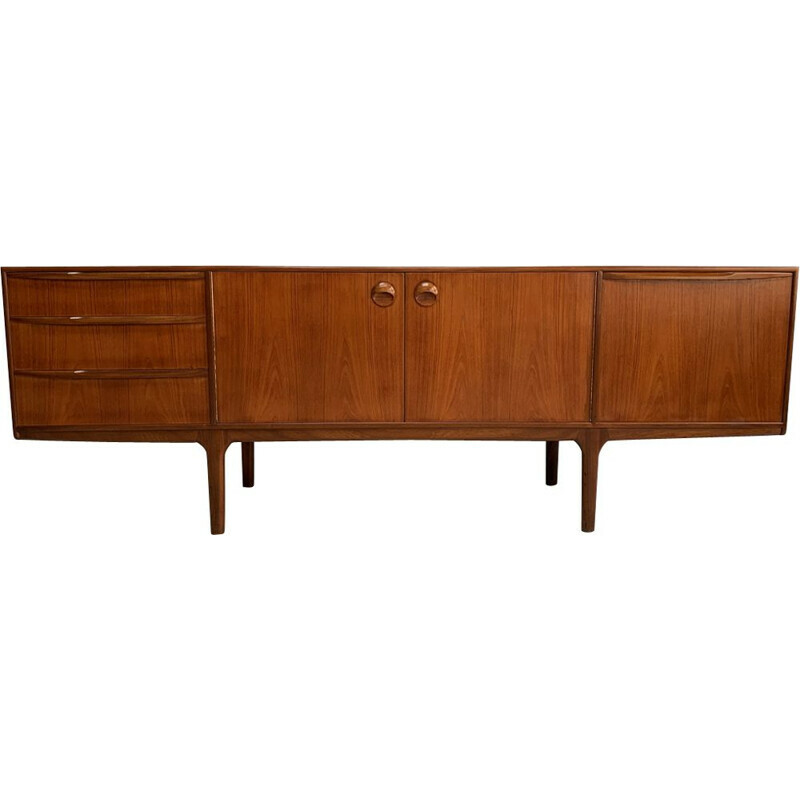 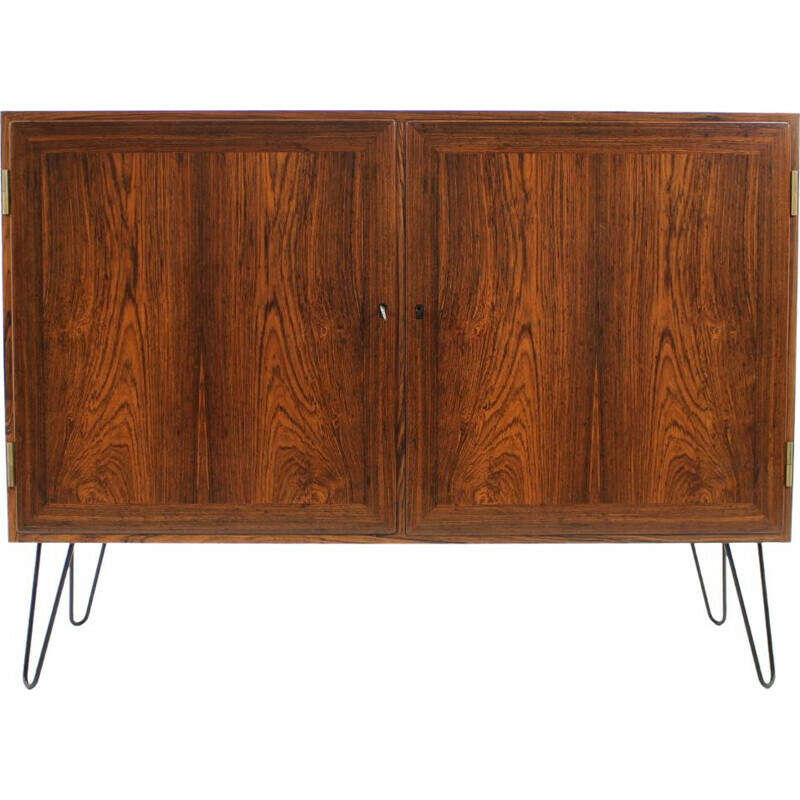 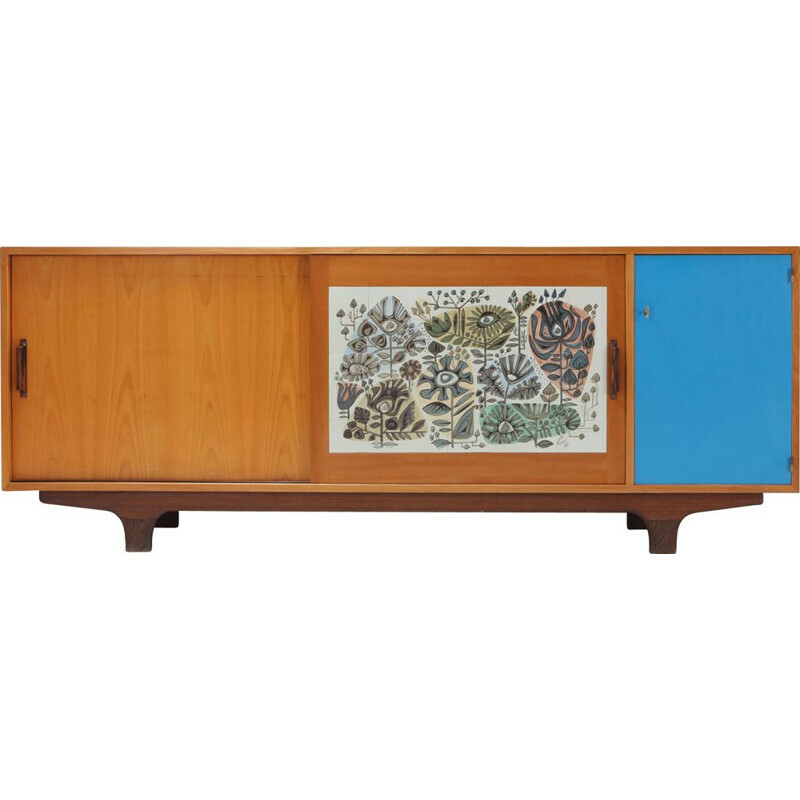 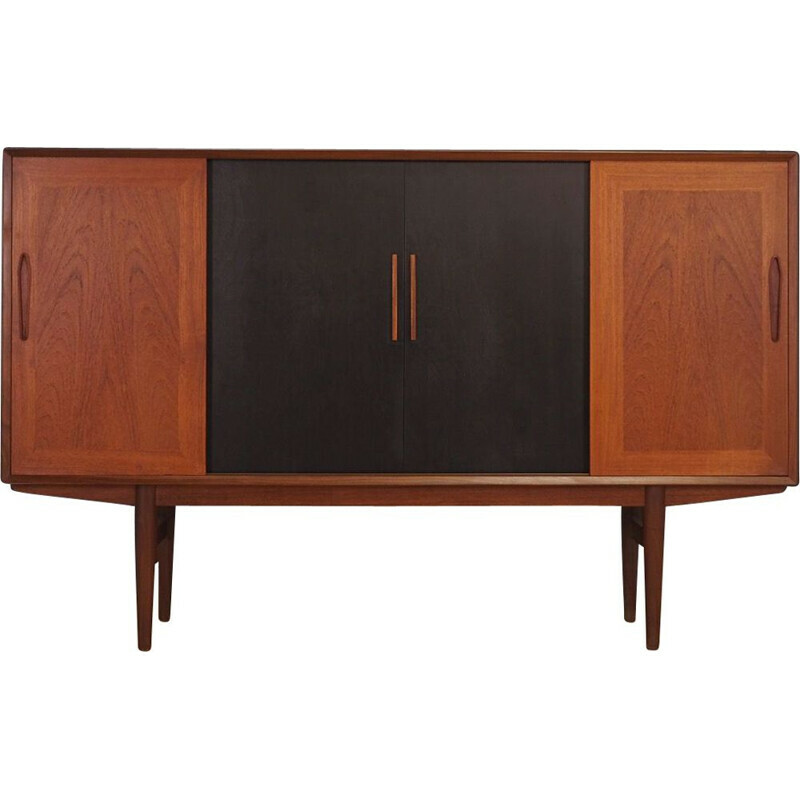 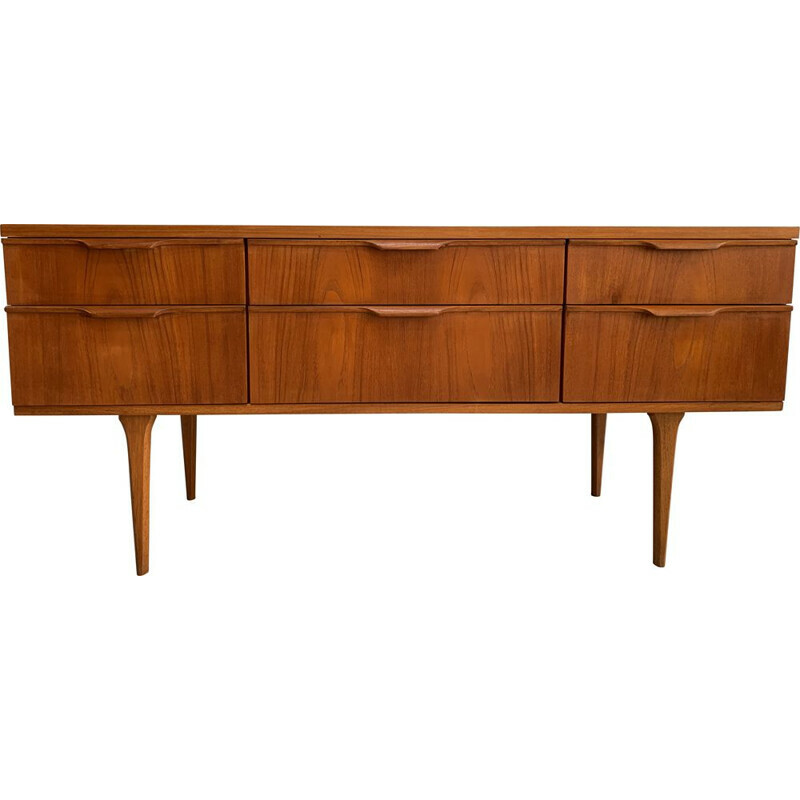 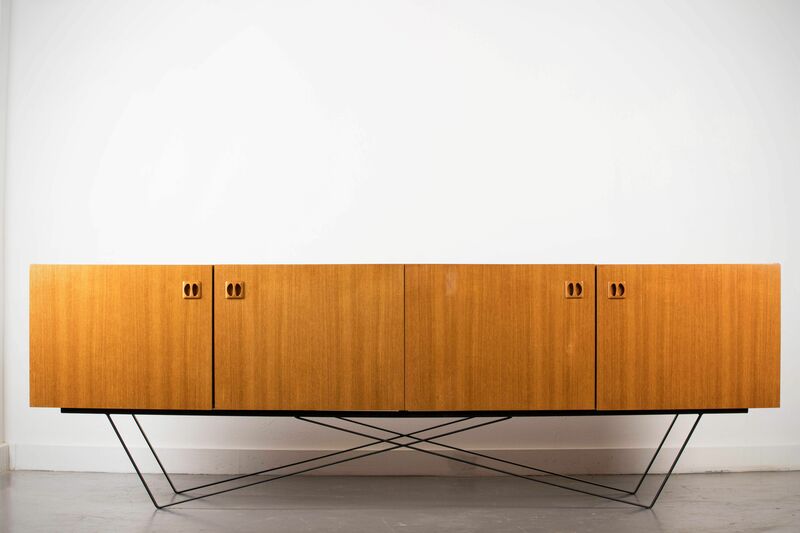 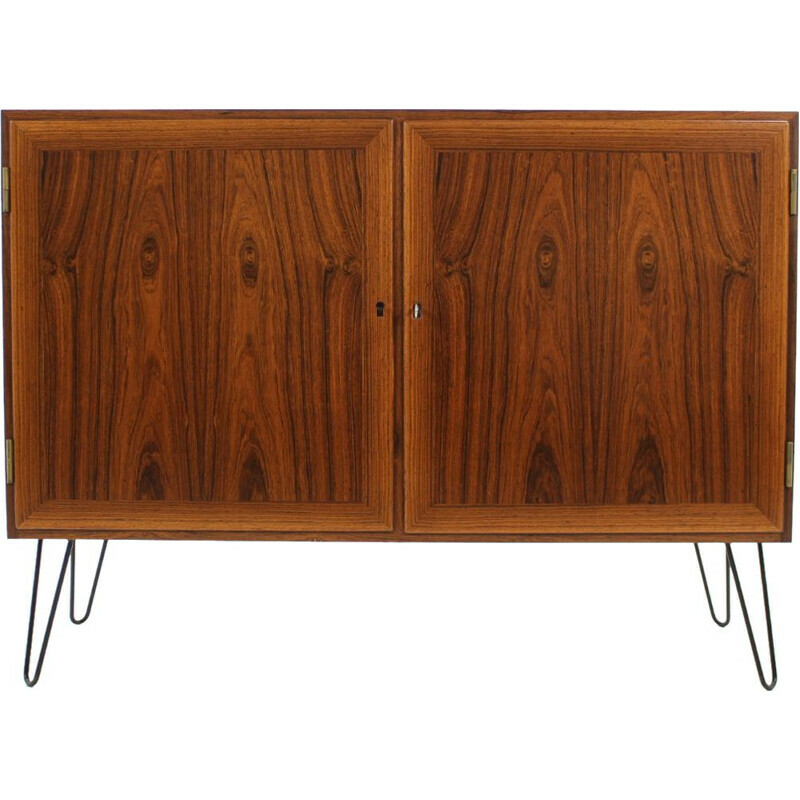 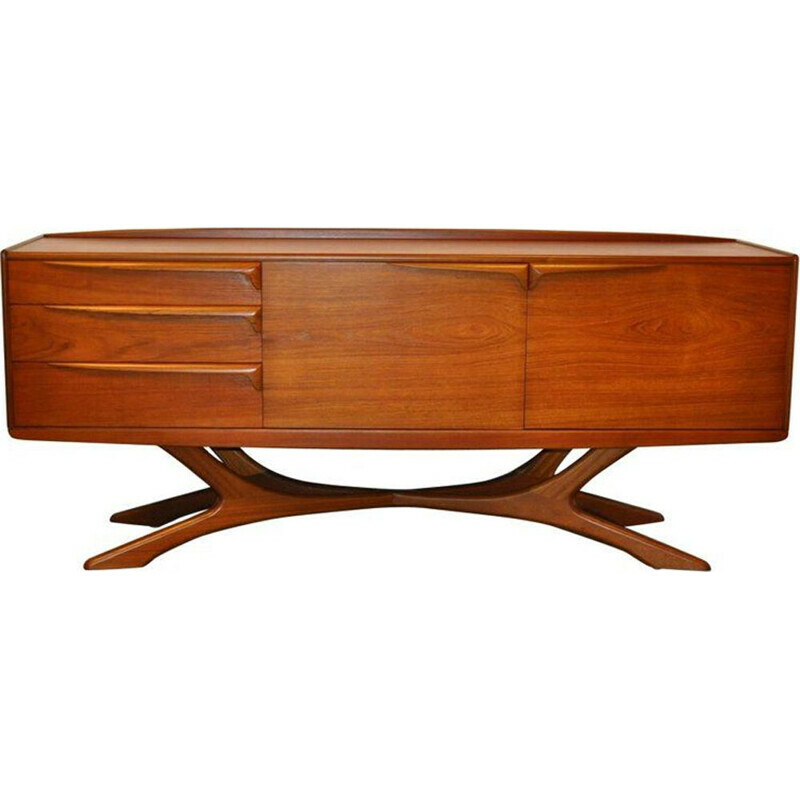 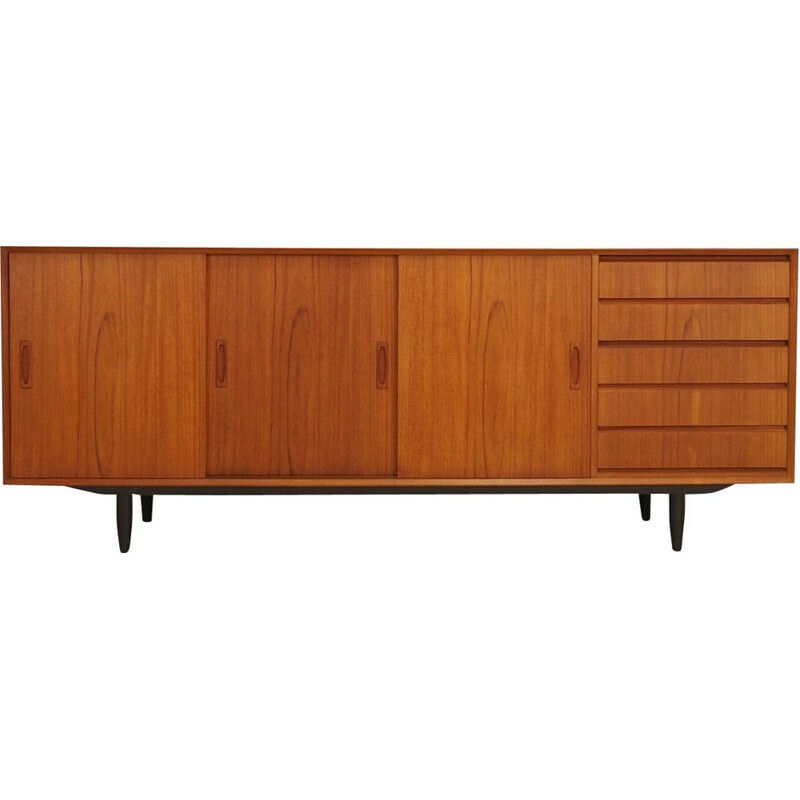 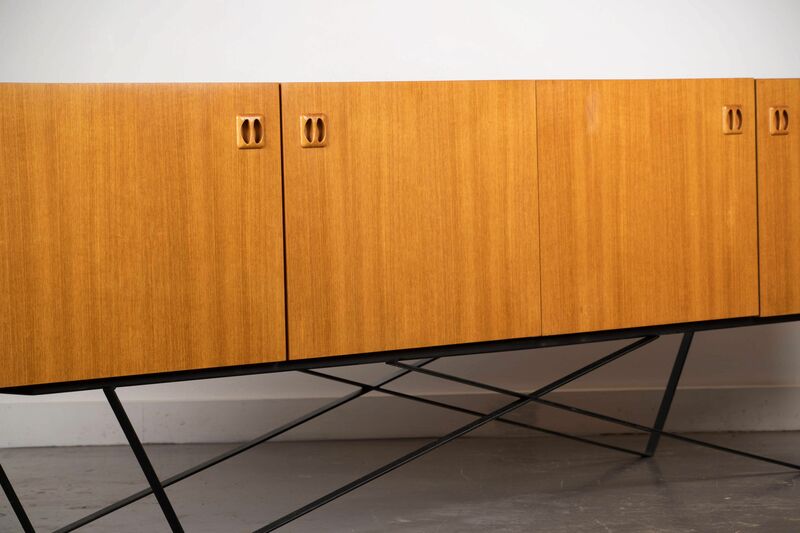 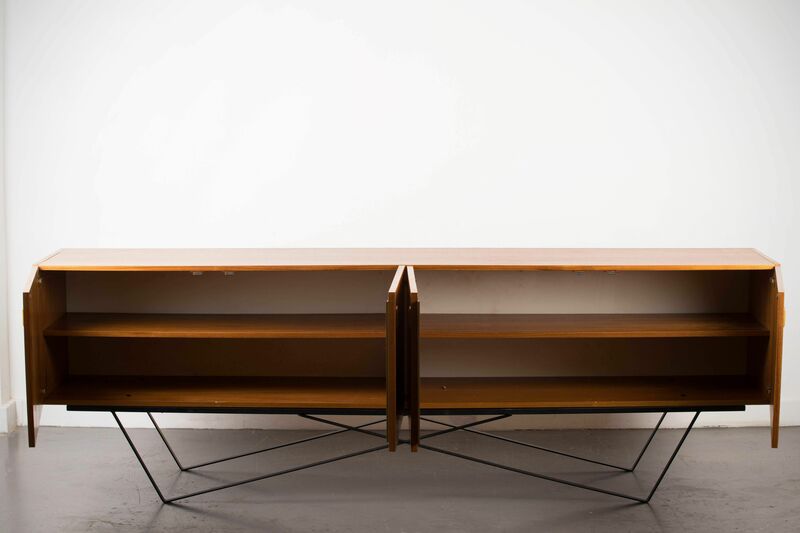 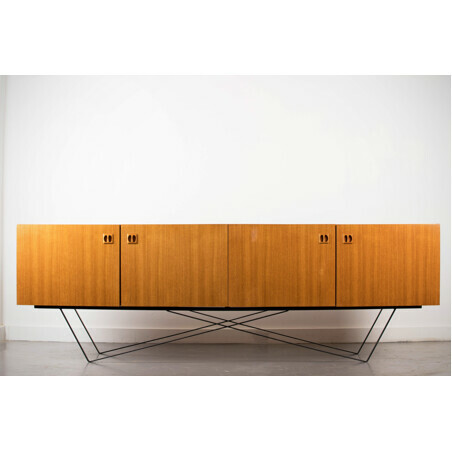 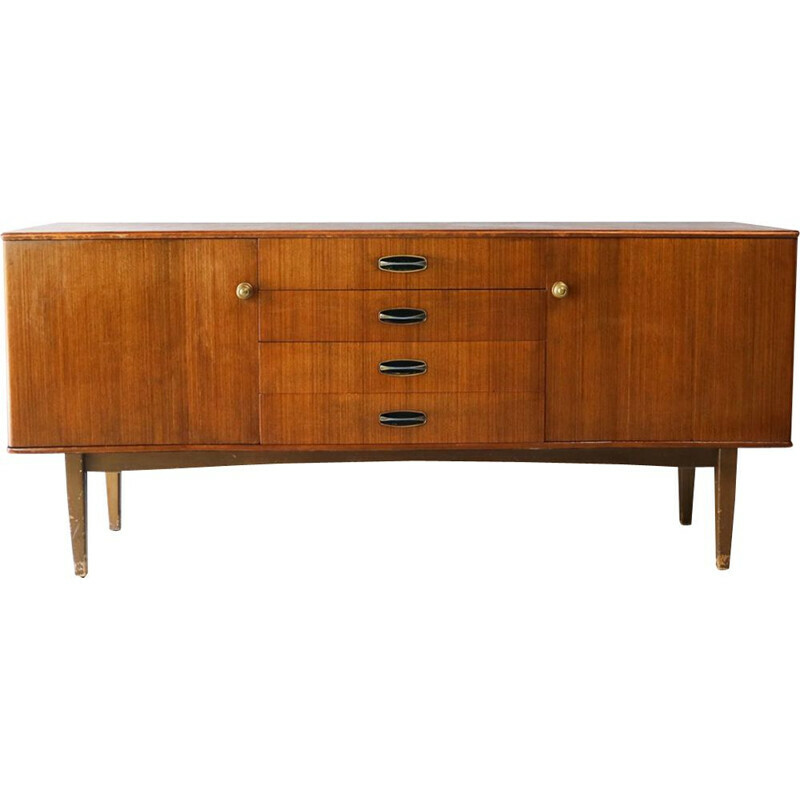 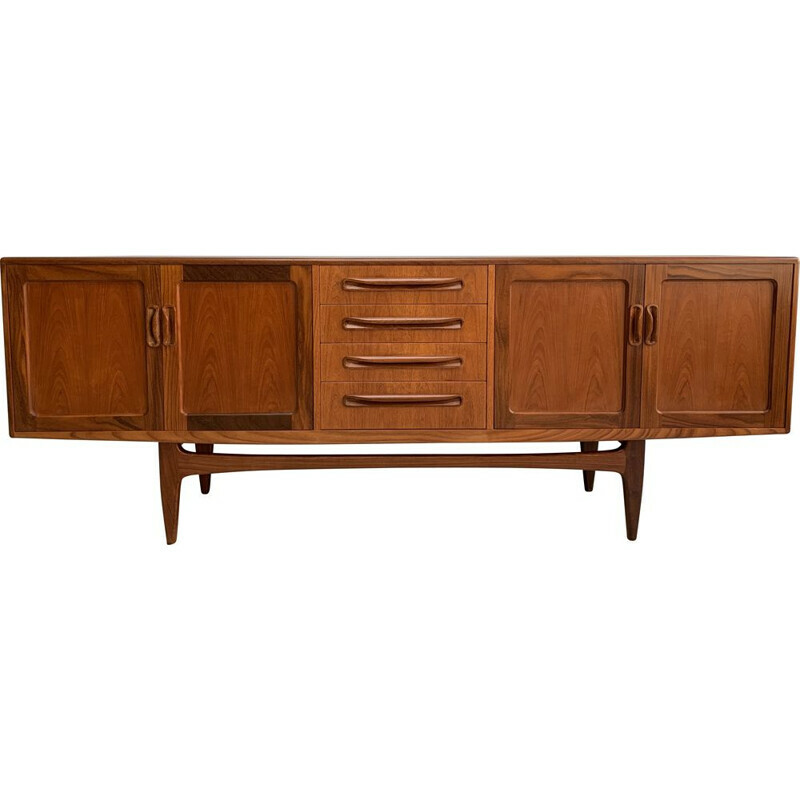 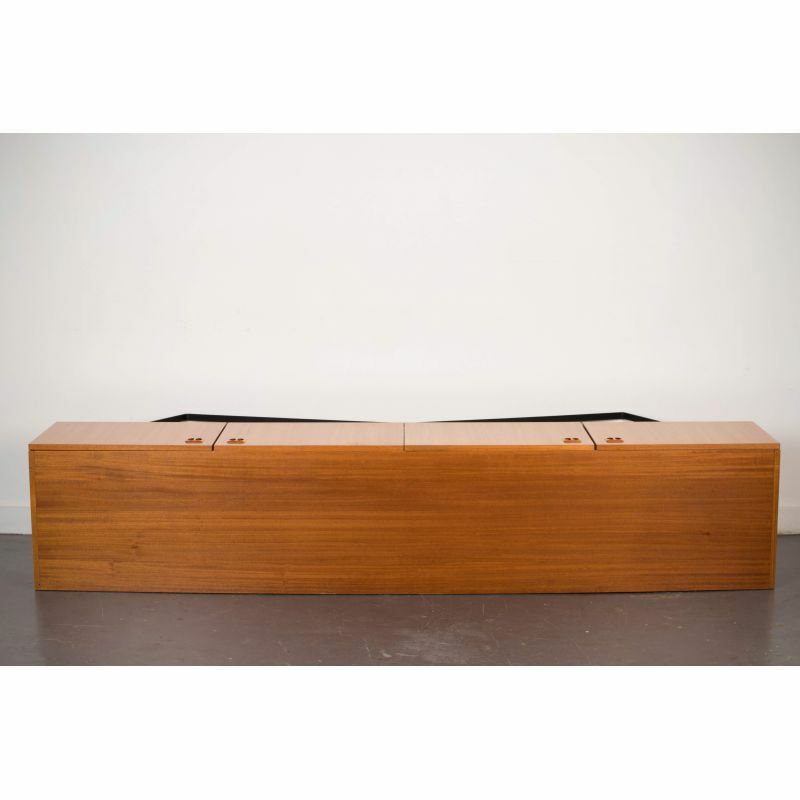 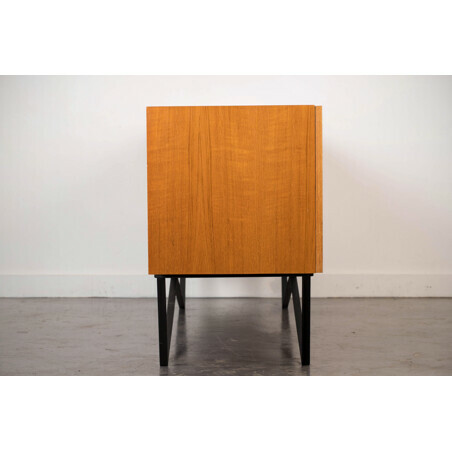 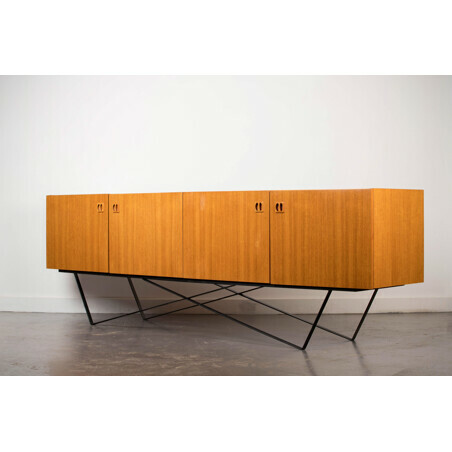 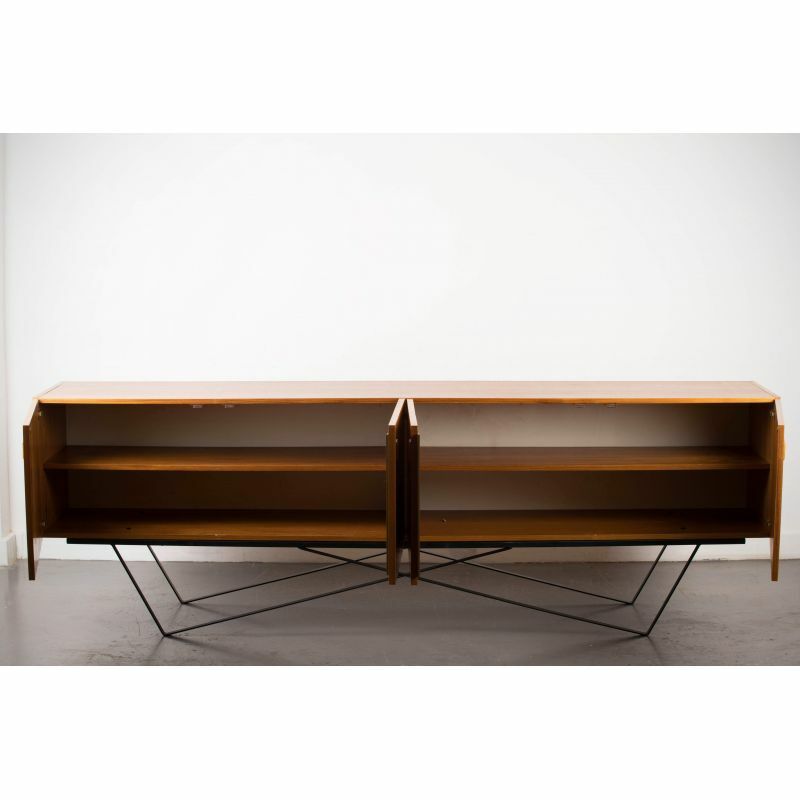 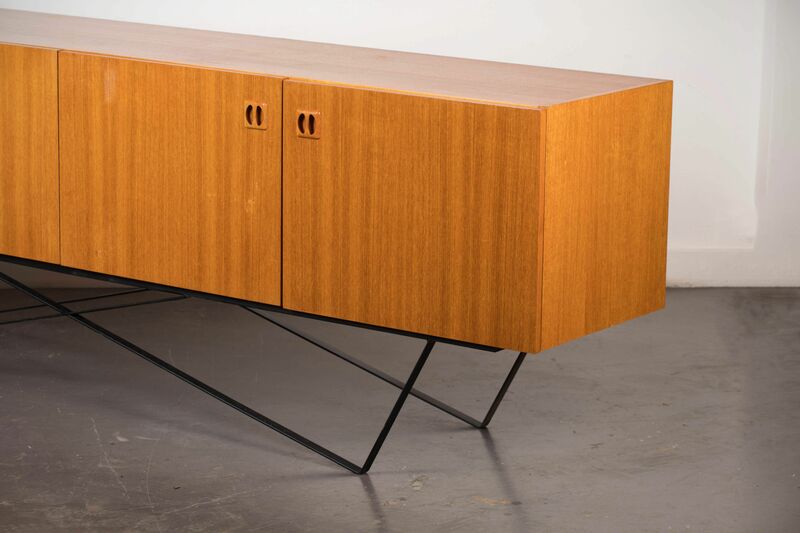 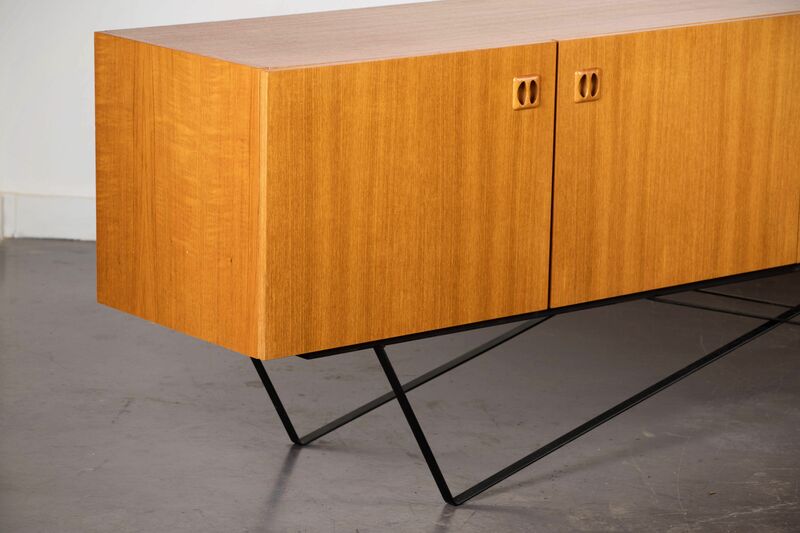 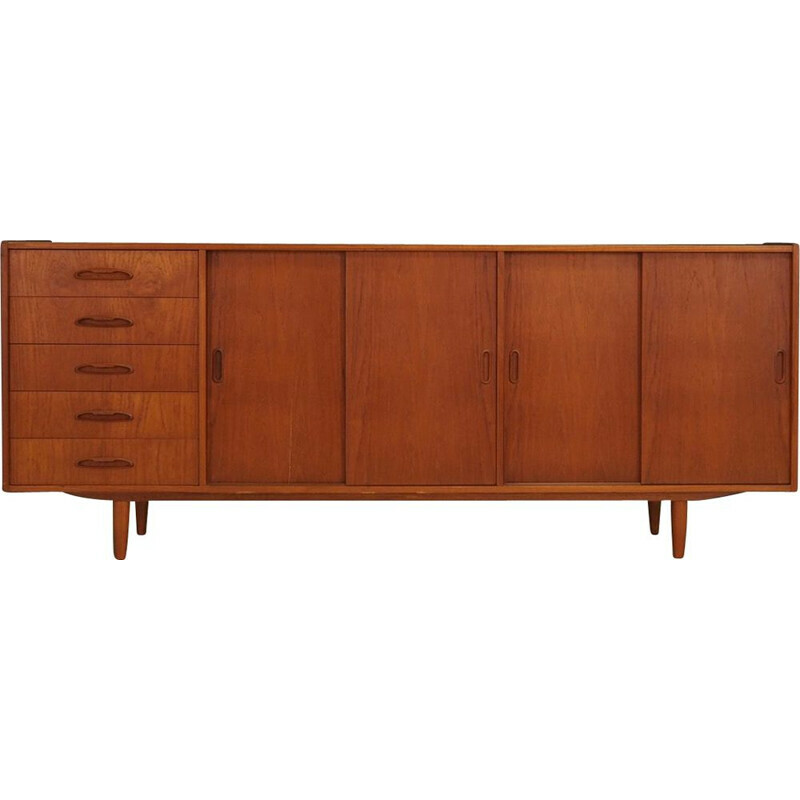 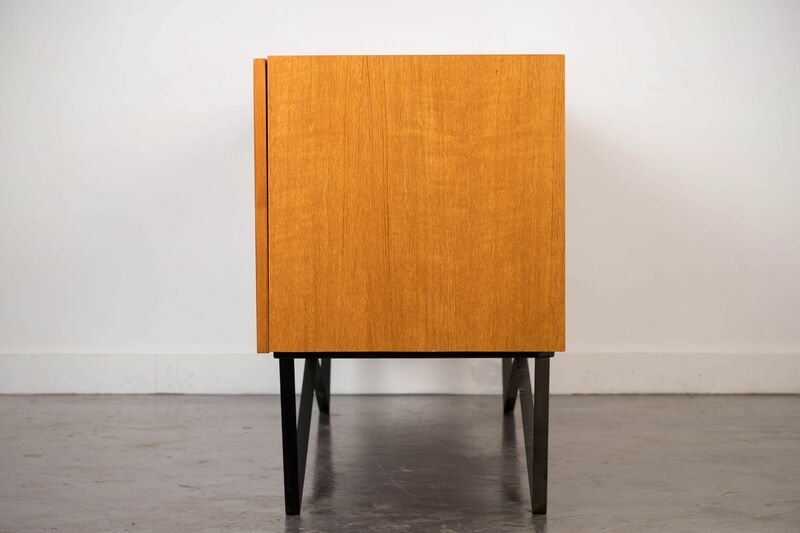 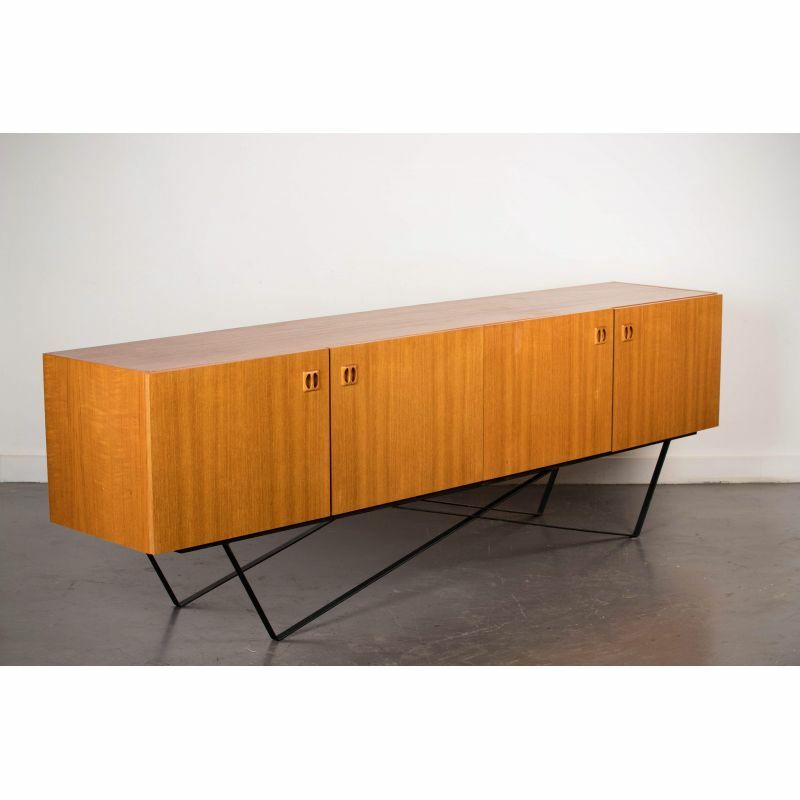 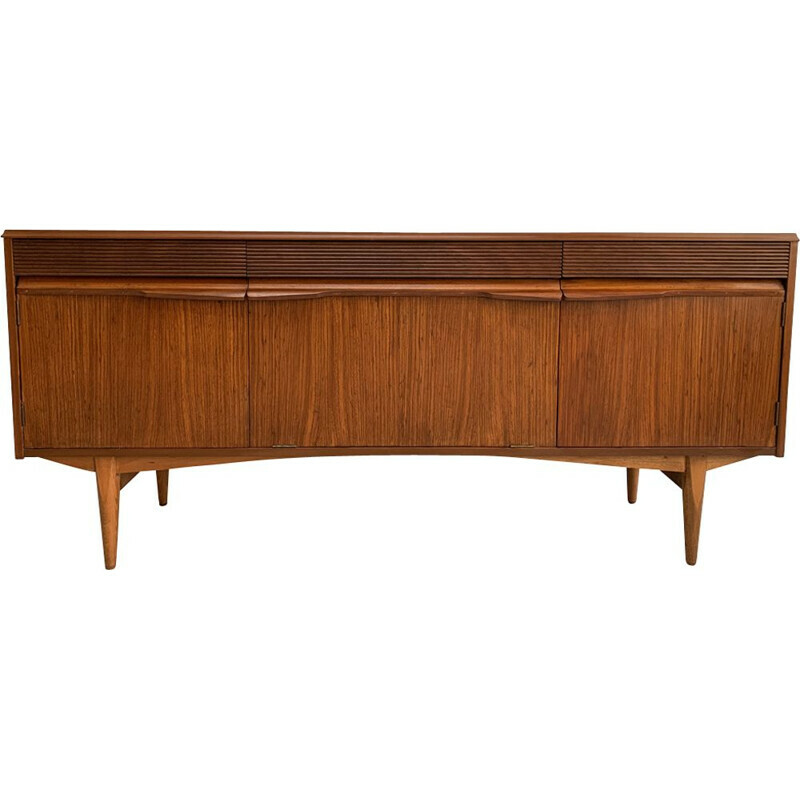 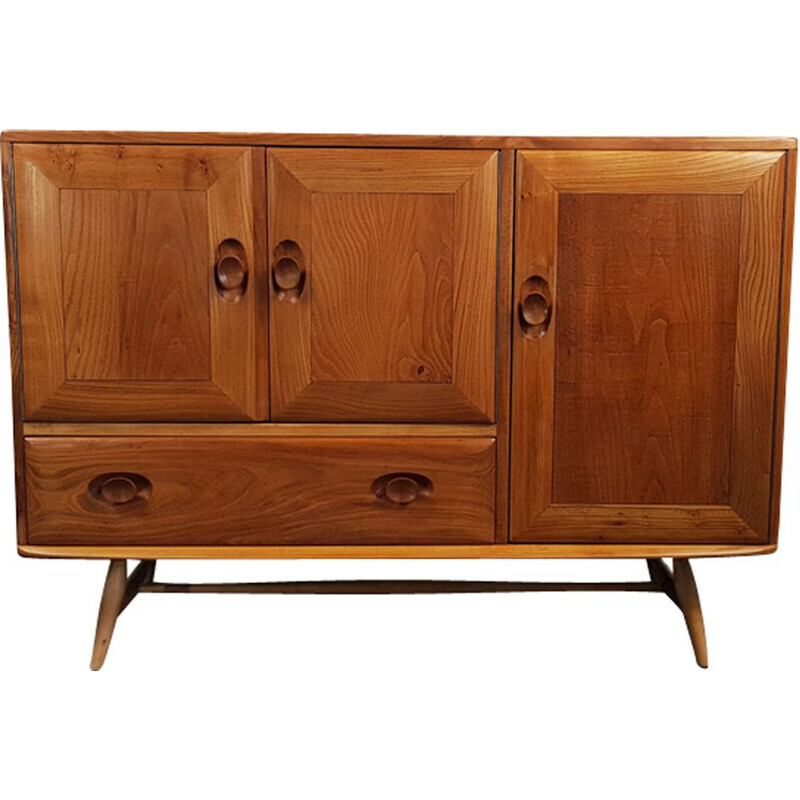 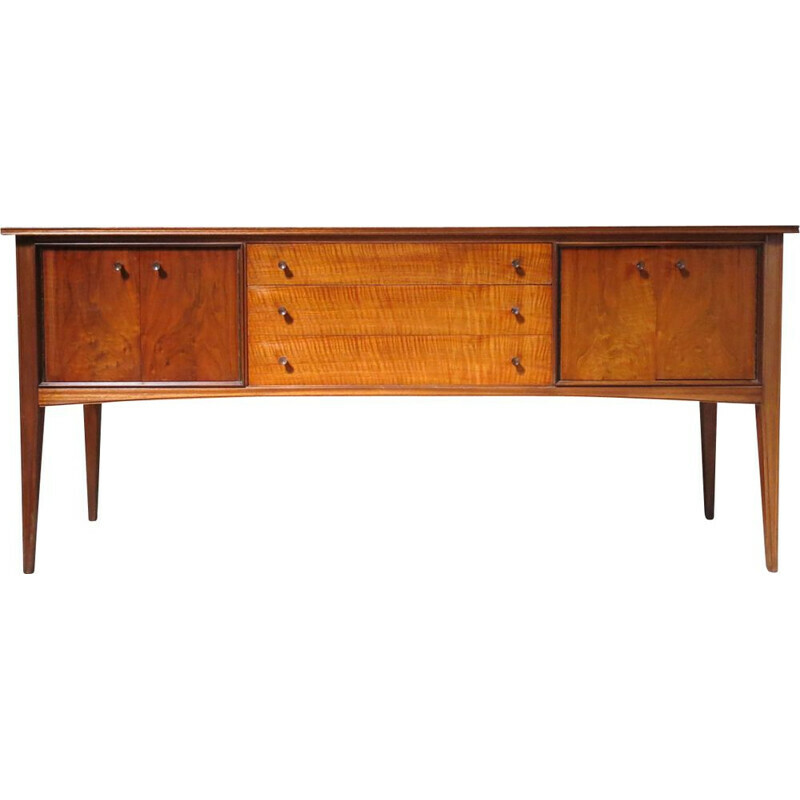 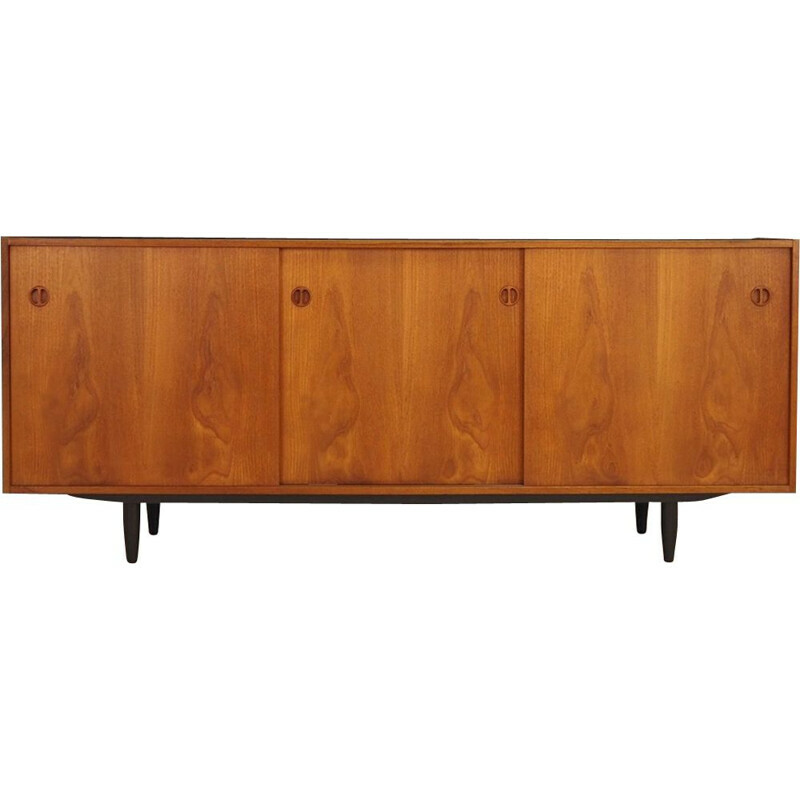 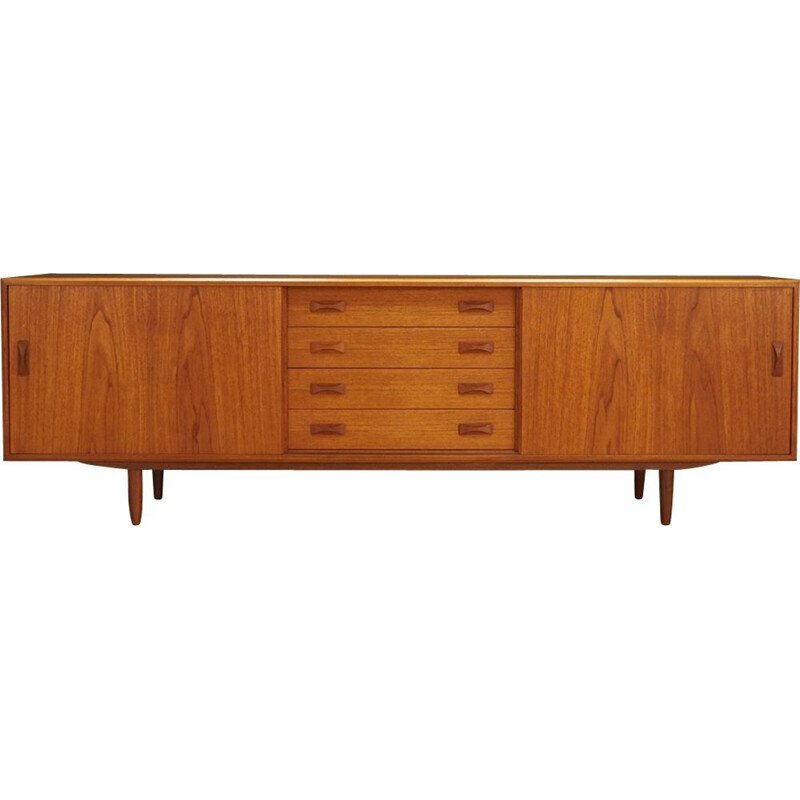 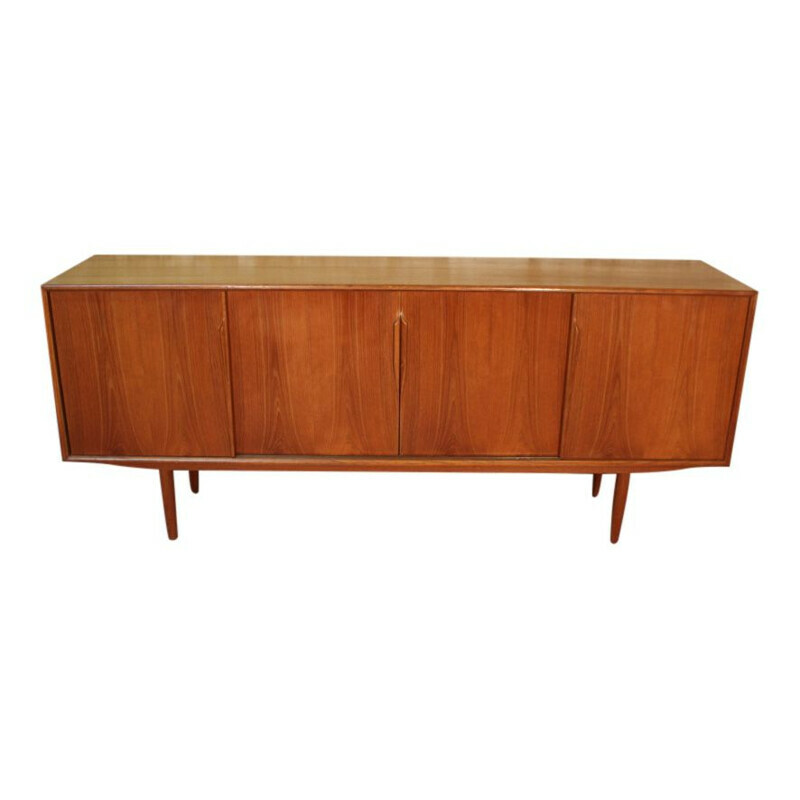 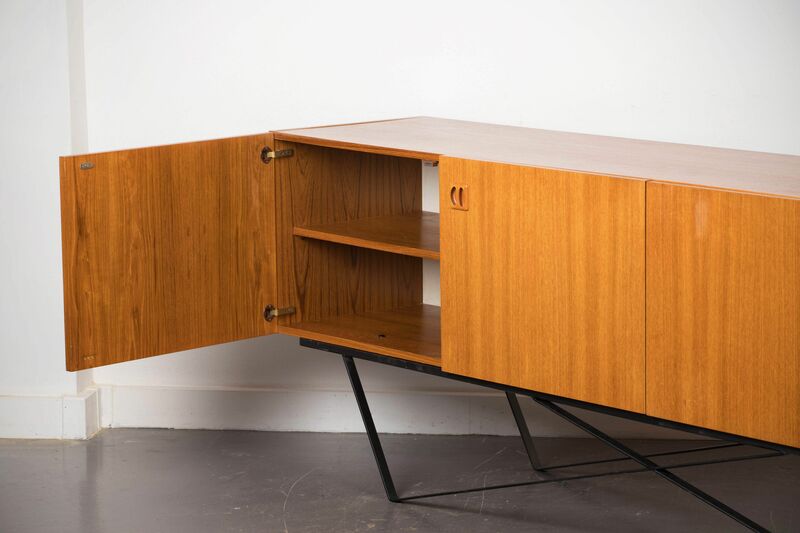 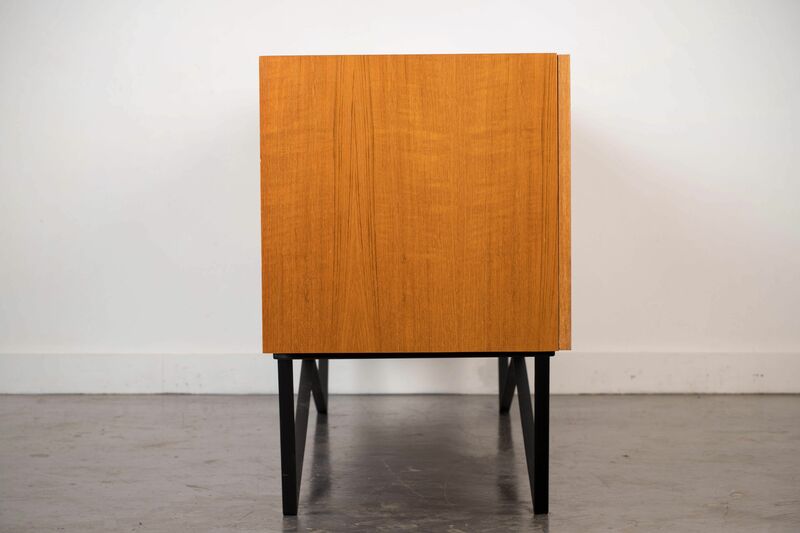 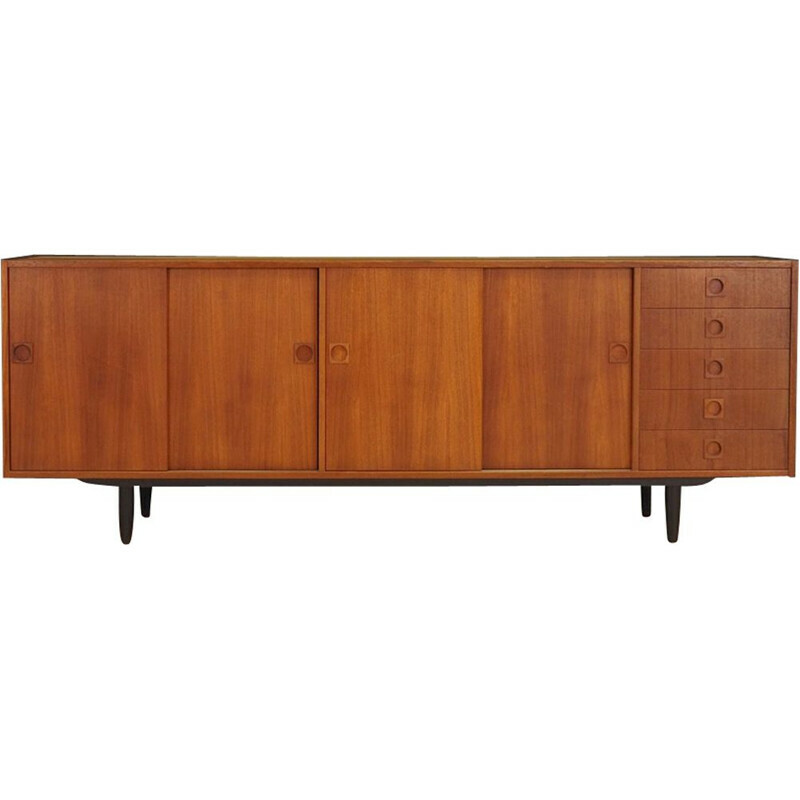 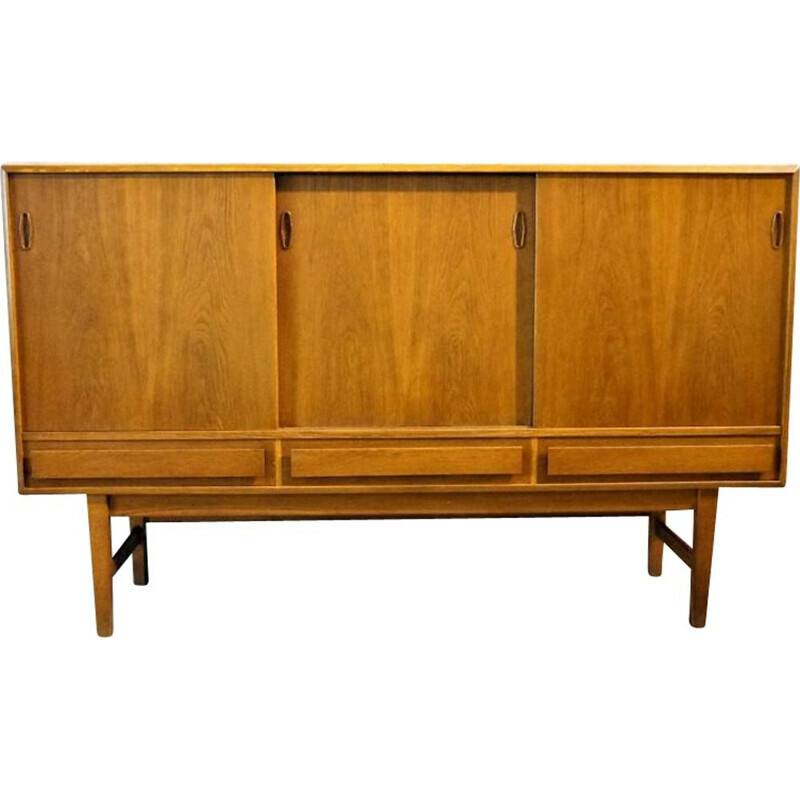 Vintage teak sideboard dating from the 1960s. 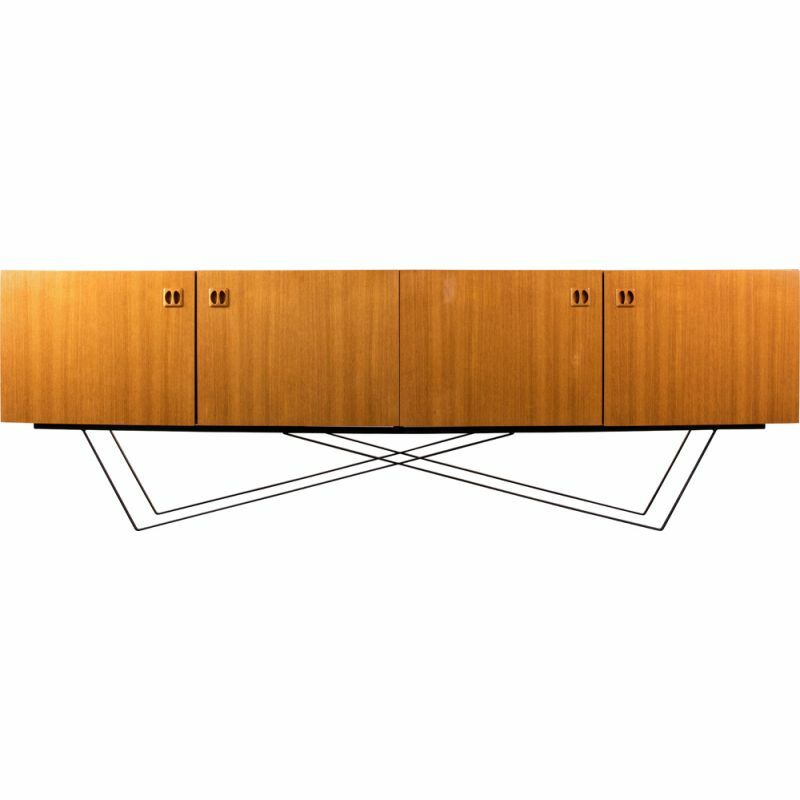 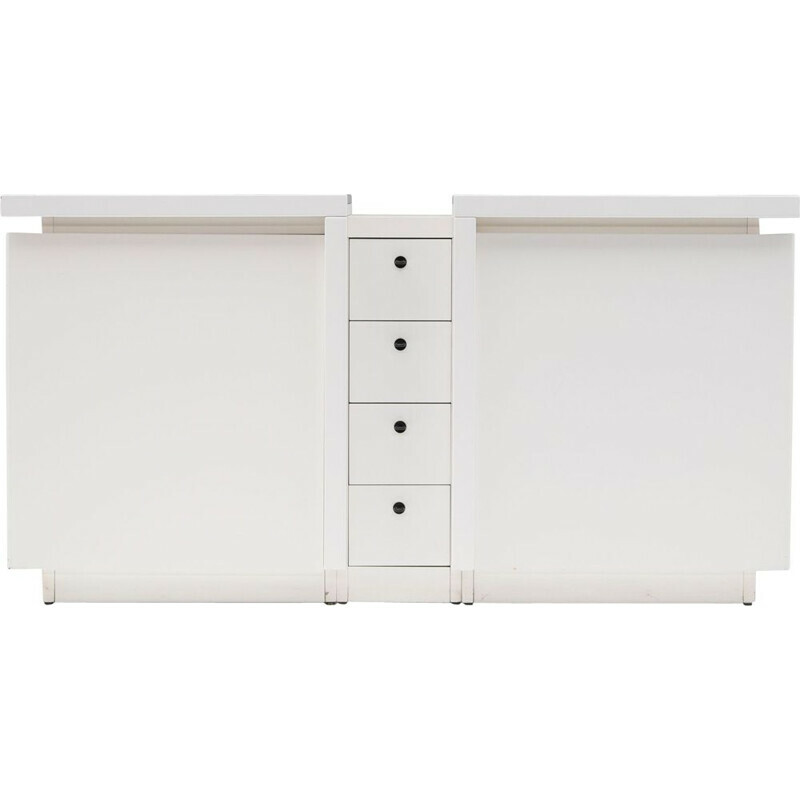 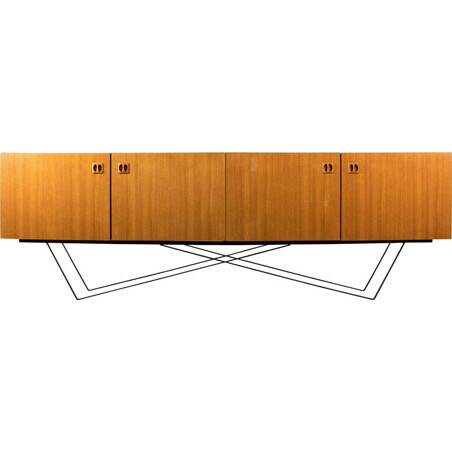 Very long and not really deep, it offers a storage capacity without cluttering up the space. Length: 240cm. Depth: 48cm. 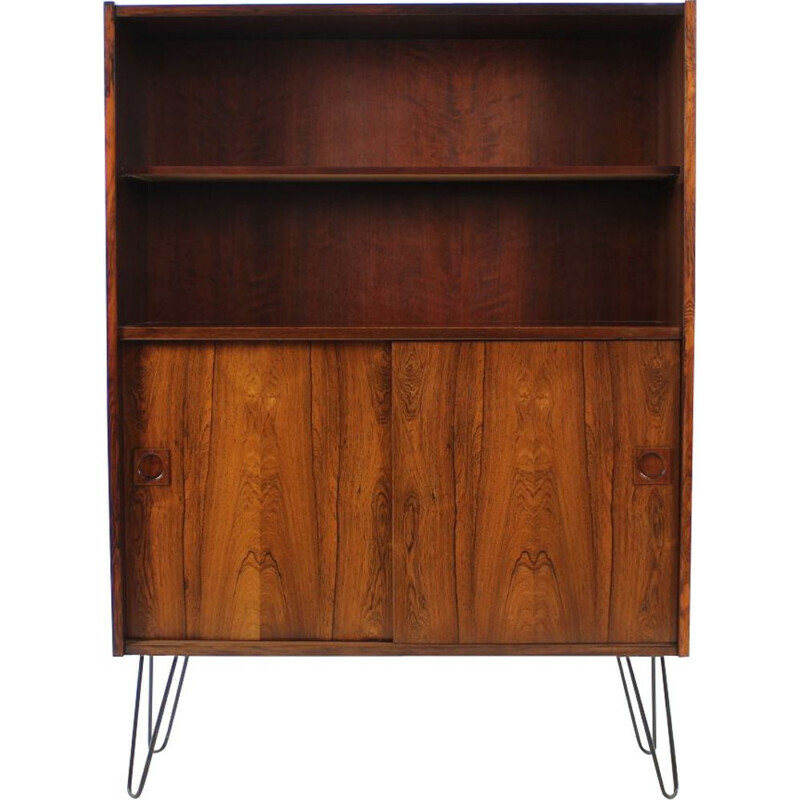 Height: 78 cm.